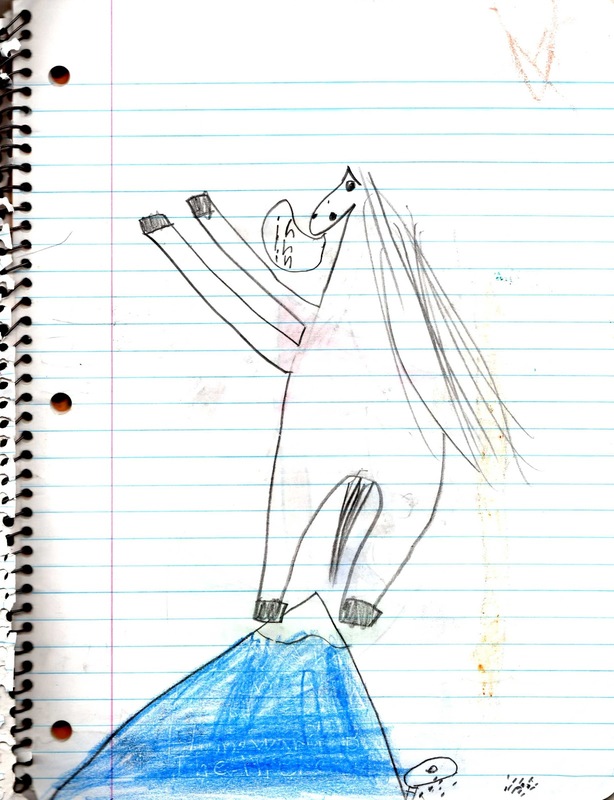 My first "book" was entitled The White Stallion. I was six years old, and while my first chapter didn't even fill up a sheet of wide-ruled notebook paper, I had started writing. The red, spiral notebook sits on a shelf in my closet, my writing skills have greatly improved, and I have two novels I am working on. Perhaps my love of horses can take the credit for sparking that desire to tell a story and share it with others. I had a similar experience when I began to draw. Armed with my crayons and pencil, I would scribble a rough outline of a character from the movie I was watching. More often, though, my pages were filled up with pictures of the White Stallion. Perhaps a week later, I would pick up my drawing again and stare at it. It bothered me that my picture captured none of the beauty and delicacy of the horses I had seen. The White Stallion beats the evil brown horse in a race. The magnificent White Stallion rears with a neigh while his herd grazes below. Several years passed, and all of my drawings had improved little. 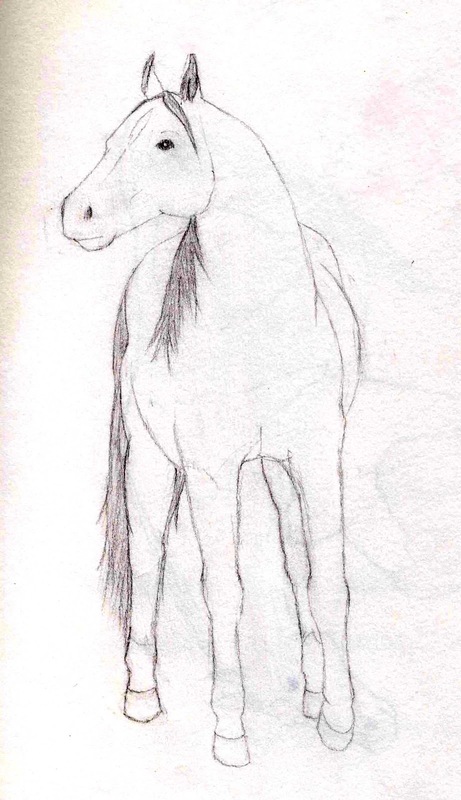 I wouldn't have noticed much except that my horses still didn't look proportional. 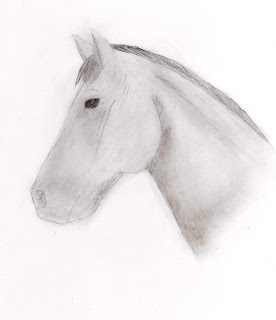 So, in 2008, I bought a book called Draw 50 Horses, picked up a new sketchpad, and started practicing. It was a lot harder than I had expected. The author didn't really give much instruction. Instead, he told the reader to copy the outlines he had drawn. I felt more confident in my drawing ability, but I was limited to what the author had drawn. 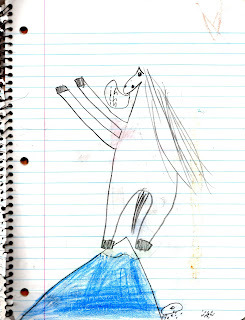 One of my first drawings of a horse in motion. 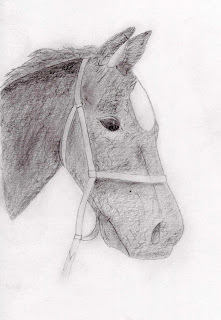 A horse I sketched from the Draw 50 series. 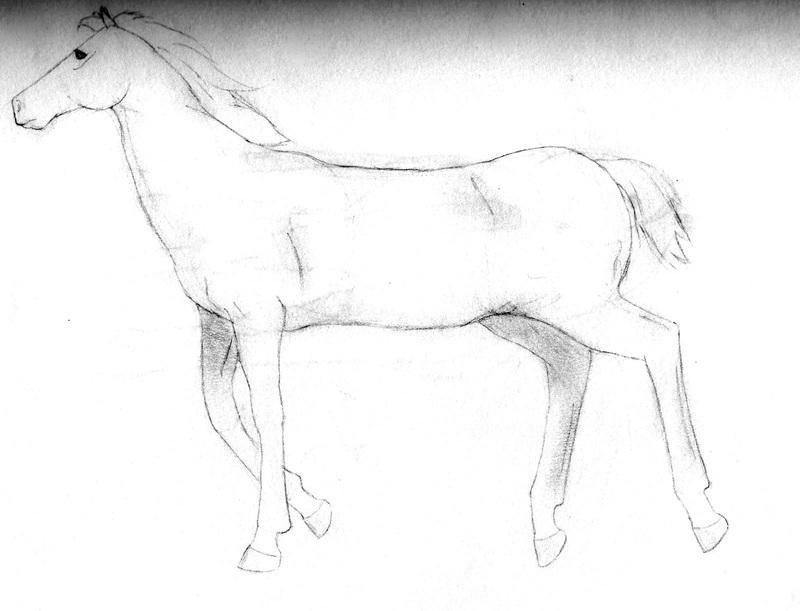 I had reached a point where my horses were recognizable as horses, but they honestly didn't look as though they would gallop off the page. They were flat and two dimensional. In spring of 2009, I gave it another try. Actually, it was really my sister that helped me start a new stage in my drawing journey. For my birthday in 2009, she gave me a drawing book by Walter Farley. His methods rely heavily on shading, and that helped me to gain a third dimension in my sketches. My first horse drawn using Farley's book. 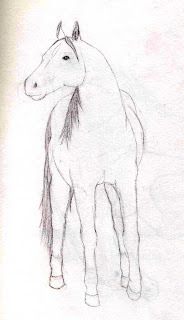 A foal I drew in 2009. I'd learned a lot from the book, and I began experimenting with shading more. I still wasn't satisfied with how rough it looked, but there was definite improvement. I joined a writer's group called CleanPlace in the spring of 2010, and one of my friends asked me to draw a book cover for her. This started another phase. I discovered Lee Hammond's drawing series, which I would highly recommend. Before she begins placing shadows on her drawings, she sketches their outline down using a graph. This helped correct many errors I had made with my consistency in my proportions. The book next showed how a tortillion can be used to blend shades done in 2b graphite. Even a week after I finished reading, I felt more sure of where to place my pencil. The resulting drawings were ones that I was proud of and didn't have any major disappointments about. 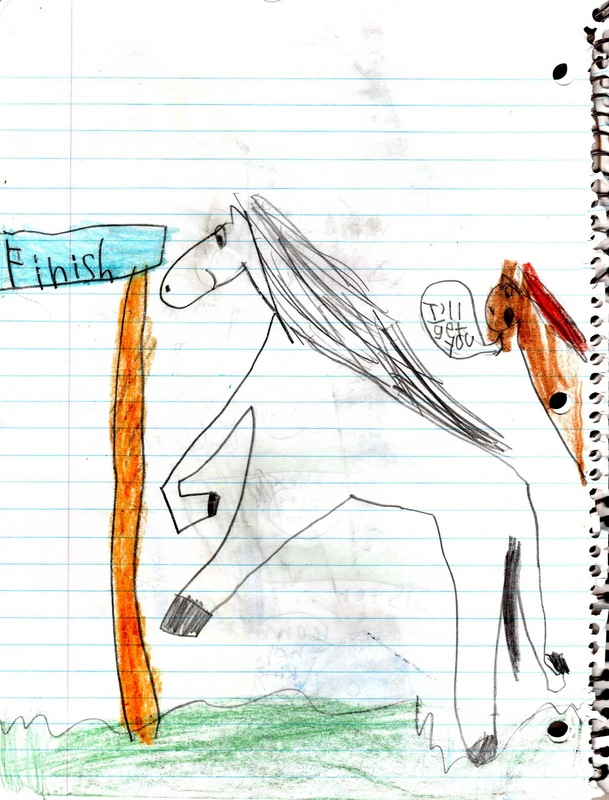 Obviously, my interests have broadened over the years, and I enjoy drawing and writing about more things than horses. However, I do feel that horses helped me develop or begin some of the activities I now love. The "galloping" part of my blog's title is a tribute to all of the horse friends I've made over the years. The "graphite" deals with my drawing. I would like to use this blog to show my friends what I've drawn and ask for their opinions about it. I'll also talk about my writing, knitting, sewing, and possibly cooking projects. Oh--and maybe horses.